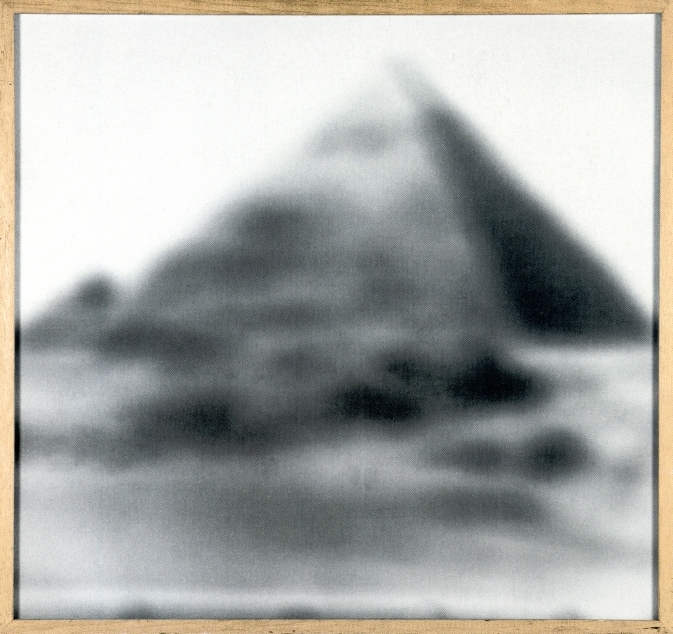 In 1966, Gerhard Richter made a small edition titled Pyramid, for a multiples group show in Karlsruhe. Pyramid is a photo printed on treated canvas of a 1964 painting, Small Pyramid, which is itself based on an offset photograph illustrating an encyclopedia entry. 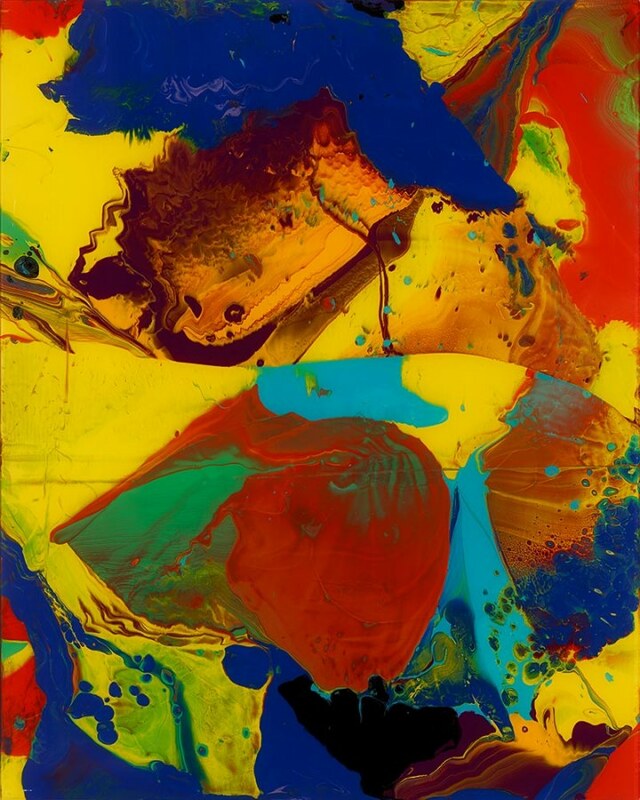 In addition to variations in mounting and frames, Richter made each of the 13 prints (ed. 10+3 proofs) unique by altering the exposure time. Richter’s made a lot of photo versions of his paintings, but I think this was the only time Richter used photo-on-canvas, and it came to mind a couple of years ago when I was looking at Cage Grid, the only first time Richter used giclée prints. 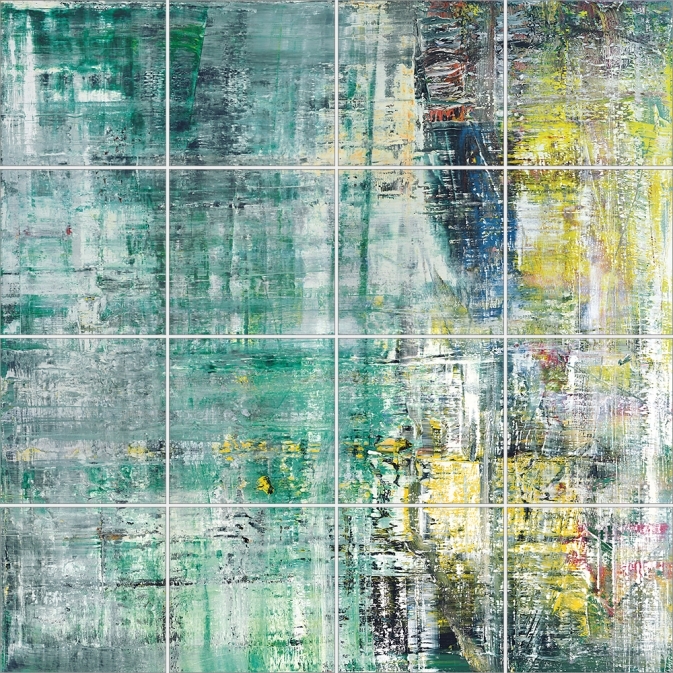 Anyway, for an extremely successful artist like Richter, the willingness to support the many public exhibitions of his work is probably only surpassed by the eagerness of museums to get in on some of that Richter swag. Fulfilling every request for auction donations or benefit editions could probably consume the artist’s entire practice, becoming a distortion or distraction. And so a compartmentalized, systematic approach was needed. 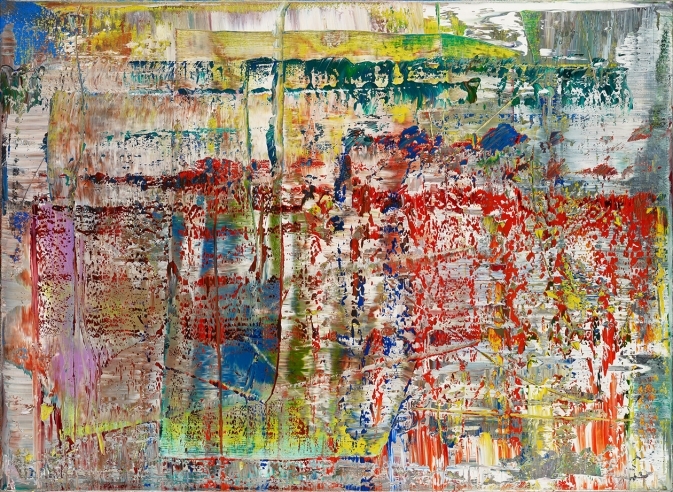 Facsimile object is Richter’s term for photographic reproductions of Richter’s paintings, produced “under Richter’s direction and approval,” in large, numbered but unsigned editions, which are sold through museum shops to support an exhibition. Since 2014, 13 facsimile objects have been created, all mounted on aluminum, and all but one in editions of 500. That’s more than 6,000 objects. 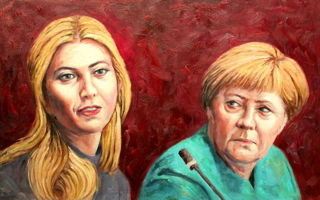 They all sold out almost immediately at prices from EUR1,000-1,500. Whatever their status as art, facsimile objects turn out to be a highly efficient mechanism for crowdfunding Richter exhibitions. Richter’s facsimile objects are created by a company called HENI Productions, which was founded by Joe Hage, a lawyer, collector, and Richter confidante. Hage was the force behind the artist’s website; he bought half of September; and he produced Cage Grid I. If he’s not the COO of Richter Gmbh, he’s at least in charge of biz dev. 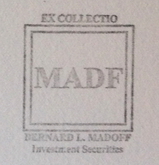 As actual, signed editions, Cage Grids were a proof of concept; the first batch of official facsimile objects came and went without my noticing. P1 “Abstraktes Bild” , P2 “Haggadah” , and Bouquet (P3) were produced for sale at the Fondation Beyeler’s Pictures/Series show. I did pay attention when a P1 came through Sotheby’s a couple of months later with a £4-6,000 estimate. 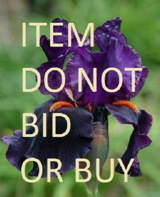 Because it sold for £41,250. The first two Beyeler facsimile object subjects are significant in their own right. 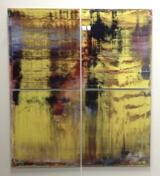 Richter used CR 724-4 as the basis for generating his Strip Series, and to produce a set of tapestries. Haggadah, CR 895-10, is a much-shown, much-reproduced 2006 squeegee painting that appears on the frontispiece of Tate’s Panorama catalogue, and in an atypically large set of detail photos on the artist’s website. From there things get merch-y pretty quick. 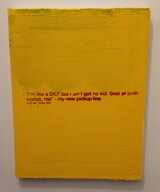 P3 is a 1:1 facsimile of Bouquet (2009), a small, blurred painting of flowers that’s been overpainted with a squeegee. P4 – P7 are slightly enlarged pictures of the enamel-on-glass Flow series. P8 – P11, meanwhile, were pictures of more enamel-on-glass for The Serpentine, which sold them all out at £1,500/each, thanks in no small part to vigorous flipping of P1 – P3, and the entrance of seasoned Banksy, Hirst, and Murakami print investors into the market. I think we’ve found the level of the room. 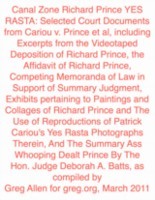 Despite the best laid terms & conditions of The Serpentine’s shop [pdf], all of these facsimile objects are being flipped constantly, in every contemporary auction, and on every online art sales platform. They’re the Richter plastic microbeads in the secondary market ocean. 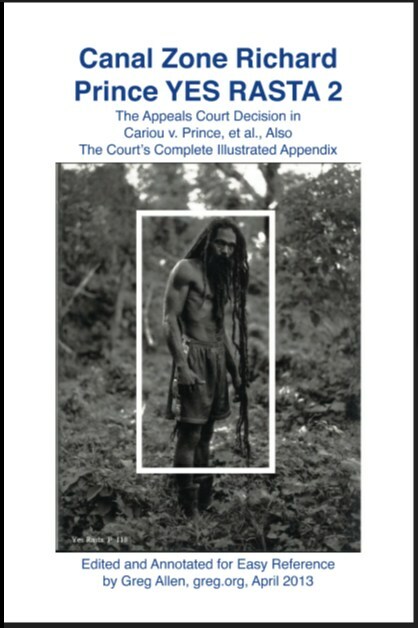 In almost every case, they’re presented as artworks, editions, and the description is entirely of the work depicted. For most art functions, especially shopping, these objects do indeed operate as perfect facsimiles. 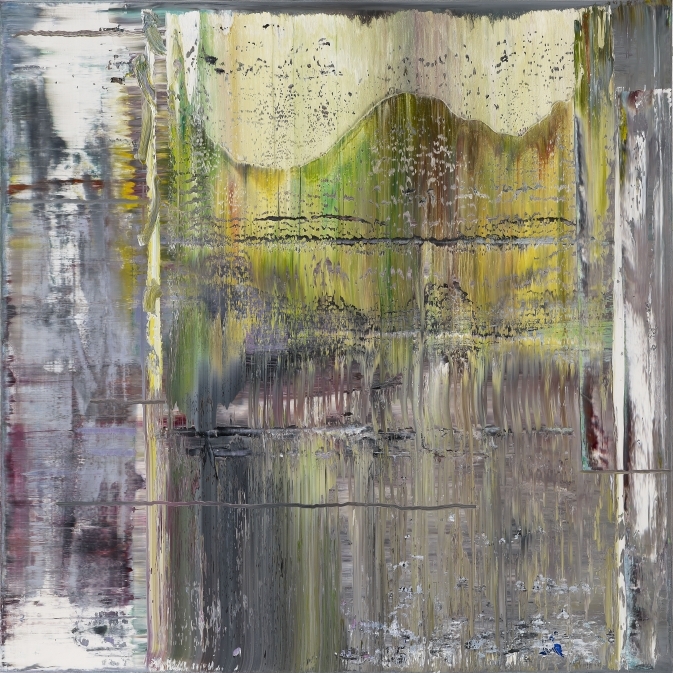 I was kind of obsessed with Richter’s facsimile objects last year. I was parsing the relationships between the object and its subject, the information around it, and its viewers, and ultimately, between the object and the artist. Whoever that might be. And then I put them aside, only to find, now, that they got even more interesting. Facsimile objects now have their own category on Richter’s website: Prints. 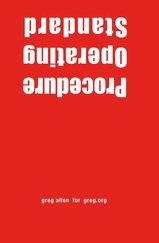 The website text is slightly different than the object labels: “A Diasec mounted chromogenic print of: Abstraktes Bild” vs “A facsimile object of: / Gerhard Richter/ Abstraktes Bild,” for example. These are not just facsimiles of Richter; they are by him as well. The next objects seem to bear out the artist’s interest in exploring the nature of the gift shop souvenir. 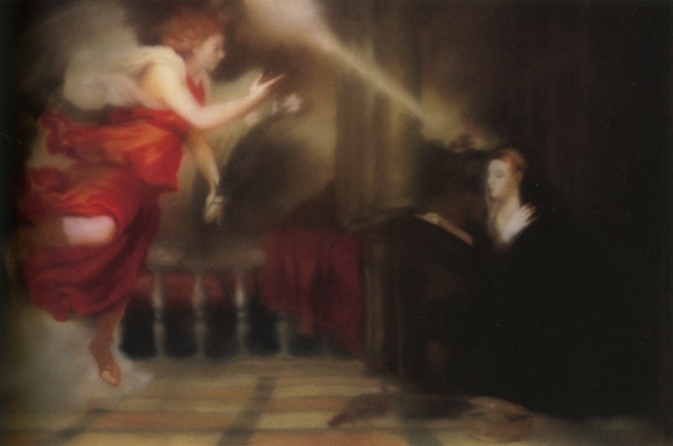 P12 “Annunciation after Titian” is a full-scale facsimile object of the iconic blur painting which Richter made after a postcard he picked up in Venice. [This Annunciation, now at the Hirshhorn, was reunited with the artist’s other four Annunciation paintings for the first time since 1973 in the Fondation Beyeler show.] 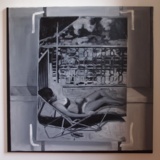 Though they’re still unsigned, these 125x200cm objects number only 50, “+ 3 A.P.”, whatever that means in this context. Which brings me back to the pyramid. 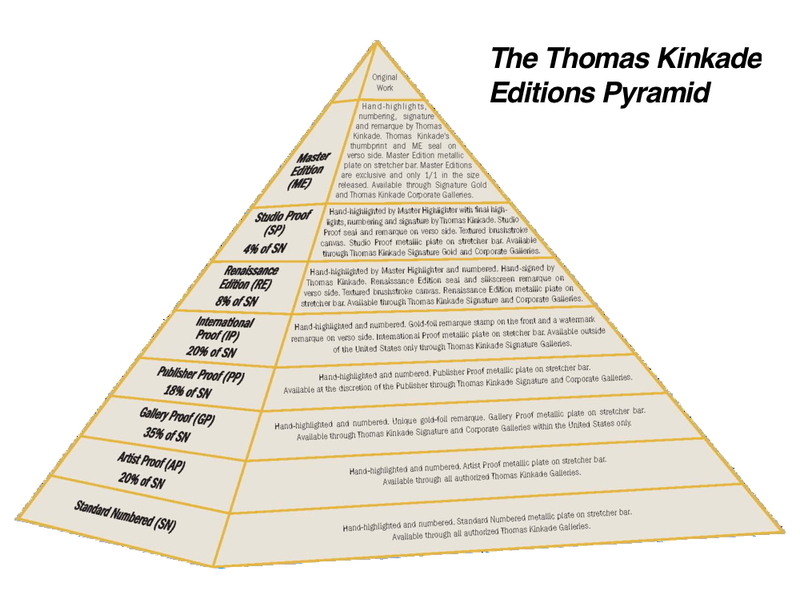 The Thomas Kinkade Editions Pyramid, devised by the late artist’s company to explain the auratic and financial calculations of the various facsimile objects on offer. Because I think it’s time someone make one for Richter. Huh, this adds up to 105%. Richter told an interviewer at the time he made the Annunciations, “I wanted to trace him as precisely as possible, maybe because I wanted to own such a beautiful Titian…[laughs]” Exact replicas to sate the thirst for an otherwise unobtainable masterpiece? It turns out he’s been making facsimile objects all along. Next Next post: Who’s Afraid Of Red & Blue?